Hitch Extension - Sauber Mfg. 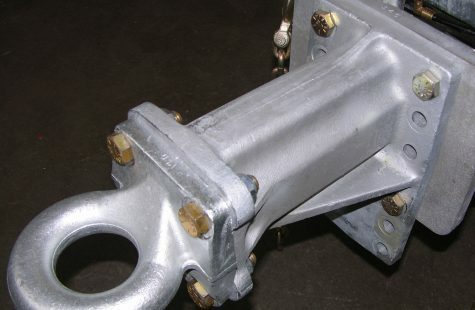 Co.
Our fully adjustable hitch extension is cast from steel and can be rotated for additional height options. It allows the trailer tongue to clear tow vehicle encumbrances like steps and tailshelves. We use only grade 8, North American certified bolts for attachment. 2.5″ and 3.0″ ID hitches available separately.